Lines don’t lie. And when it comes to this place in TST, the queues have just been building and building. 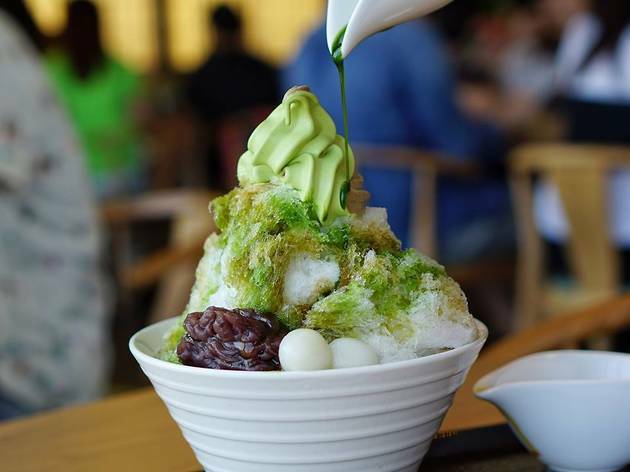 Not only is there a constant rush for sit-in menu items such as the parfait and the green tea noodles, the merchandise such as matcha or the hojicha chiffon cake are sold out daily. The historical tea house from Kyoto also holds regular tea ceremonies where bookings have to be made in advance to attend. So, yeah, better pick up that phone. 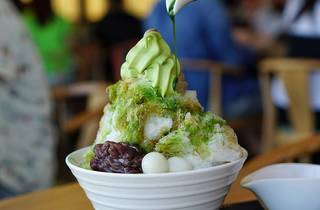 Matcha and hojicha soft serve twist, matcha parfait.